As with my previous post, I’m preparing a few handy tools for 3ds Max artists using Mari and Nuke. This bit is the fun part with Nuke: live communication between 3ds Max and Nuke. I’m starting to write a useful set of tools for Mari and 3ds Max users. 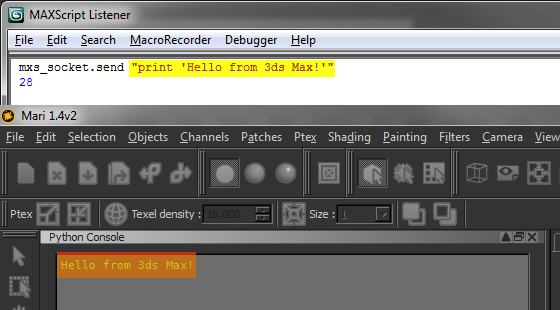 This is the very beginning – establishing reliable communication from 3ds Max’s MAXScript console directly to Mari. We’ve launched a brand new website, courtesy of our friends at refresh.cz, with some latest finished projects showcase, including our new demoreel. 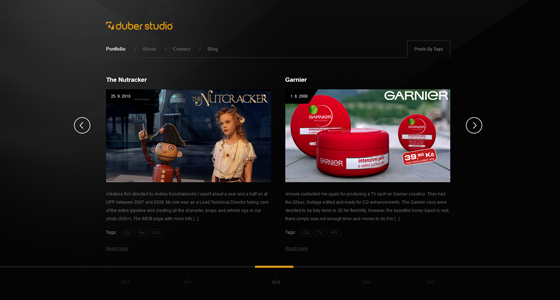 Head over to duber.cz and leave a comment if you like, hell, even if you don’t like the new site. I don’t think I have to praise regular expressions here, however, I wanted to point out one extremely useful case where regular expressions were pretty much the single most useful, fastest and not so obvious choice in my 3ds Max pipeline. The thing with 3ds Max is that regular expressions are foreign to MAXScripters and they don’t usually use them. I too am more used to regex in Python or IronPython than MAXScript. However, since we do have access to .NET in MAXScript, we can use its Regex class inside MAXScript. substituteString (toUpper srcPath) @"D:" @"\\RAMMSTEIN\__UNMANAGED_PROJECTS__"